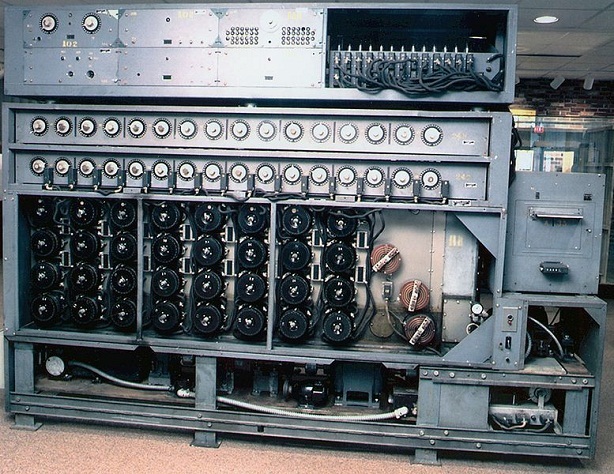 The Enigma breaking machine “Bombe” had a considerable impact on the course of the Second World War. A recently started crowdfunding campaign aims to create a new Bombe display area in Bletchley Park. 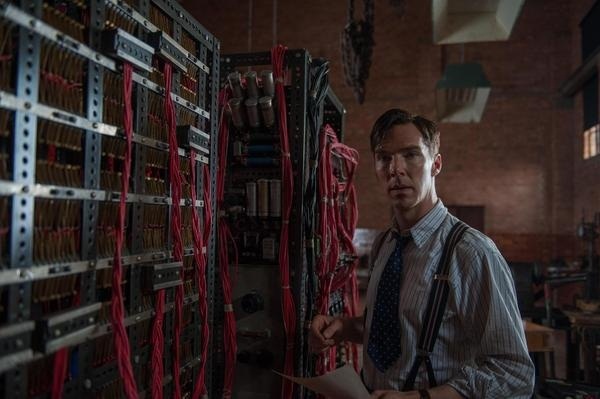 Some readers might know this machine from the movie The Imitation Game: the Bombe, also known as the Turing Bombe or the Turing-Welshman Bombe. The Bombe was not a weapon, but a data processing machine. It was used in World War II to break Enigma messages. 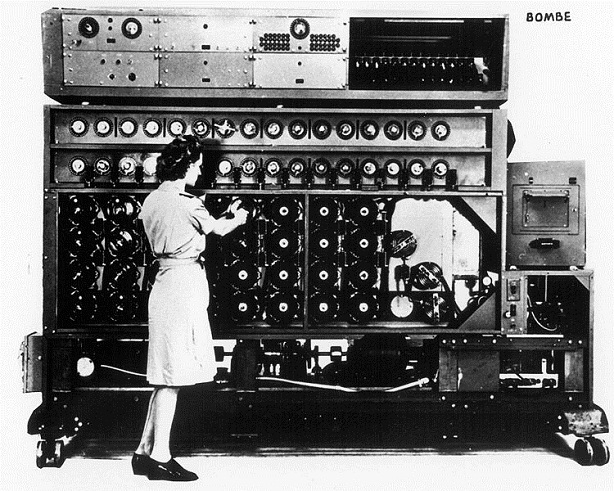 In their codebreaking factory in Bletchley Park near London, the British operated over 200 copies of the Bombe. After the war, all of them were dismantled. 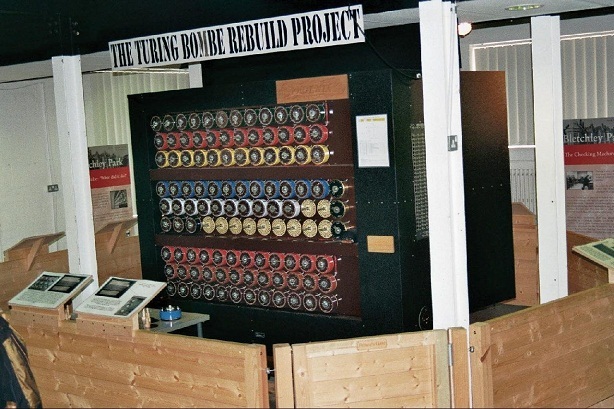 Starting in the 1990s, a number of enthusiasts built a faithful Bombe replica, which is now on display in the Bletchley Park Museum. The Bombe recognized a correct setting based on words, which could be configured with electric wires. To be successful, the operators needed to guess a word or a phrase that appeared in the cleartext. This was not too difficult, as the Germans tended to use the same expressions again and again. For instance, many messages ended with HEIL HITLER. Many Bombe operators were young women. 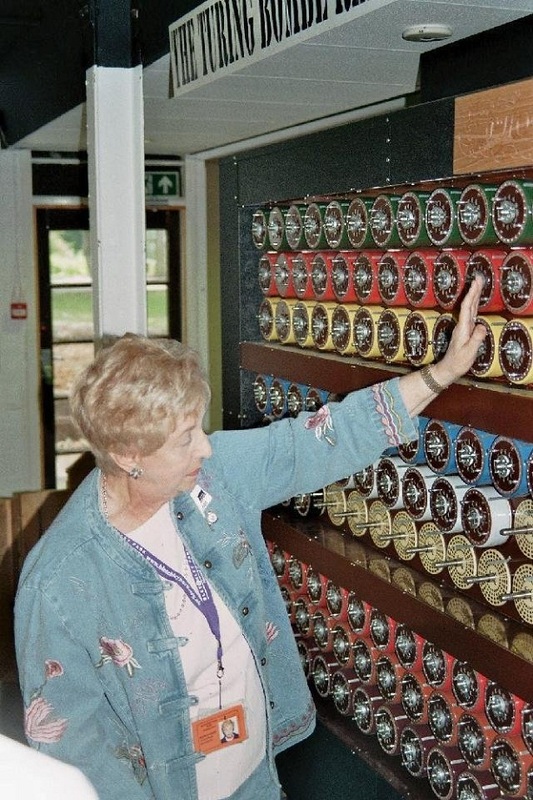 Here, a veteran operates the Bombe replica to show how her work looked like during the Second World War. 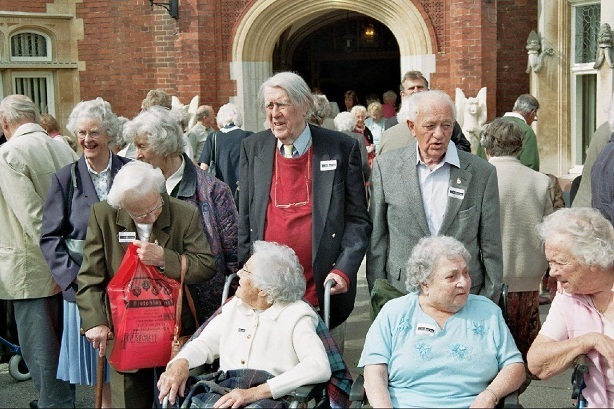 This image was taken at a veterans meeting in Bletchley Park in 2009. As can be seen, many women took part. 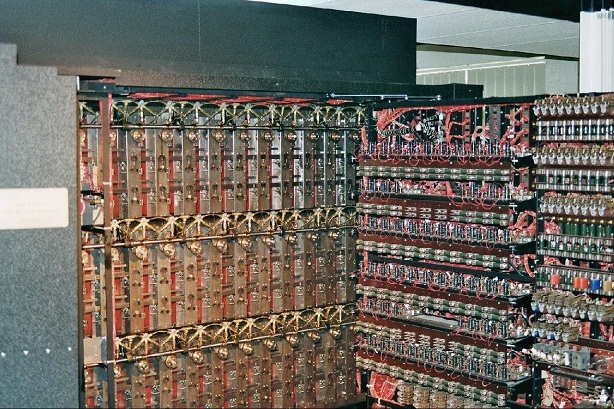 Here’s another exhibit from the Bletchley Park Museum: a Bombe mock-up, which was created for the movie Enigma (2001). 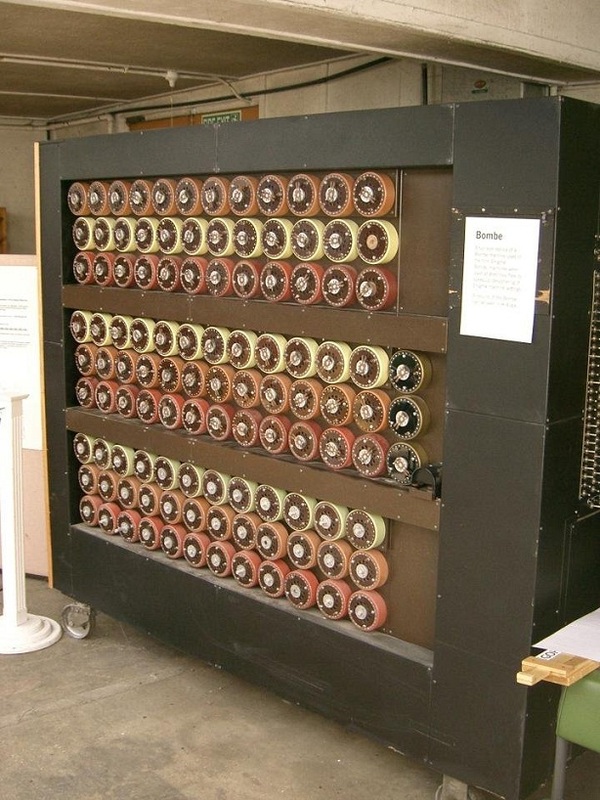 The National Museum of Computing has recently started a crowdfunding project aiming to create a new display area for the Bombe replica. 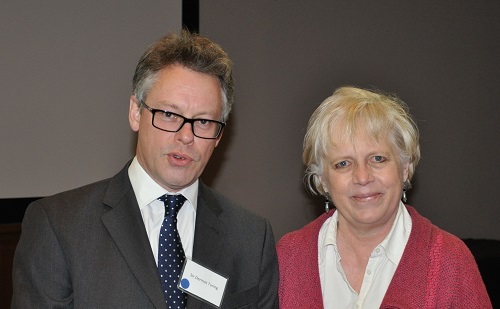 The target is to raise £50,000. I have written this article to support this project. So, please check the project website and consider donating some money. The deadline is March 13th, 2018. I wish this project good luck! Further reading: Who can decipher this encrypted telex from a famous battleship? The “mock-up” used in The Imitation Game, which was in fact in two separate parts, one part being the front, and one part being the rear, was on display for some time in the Mansion in BP. That Special Exhibition is now finished, so it’s probably in storage somewhere! So, quite by accident, I found The Imitation Game mock-up of the TW Bombe just yesterday. It’s in the recently opened Spyscape Museum in New York City, 55th and 8th to be more precise. ‘A’ and ‘C’ subway trains go quite close. So, the Crowdfunding exceeded £60,000, not all of which was received via the formal Crowdfunding route. The Turing-Welchman Bombe Rebuild has arrived in its new home at The National Museum of Computing. Don’t believe everything you see in a movie! 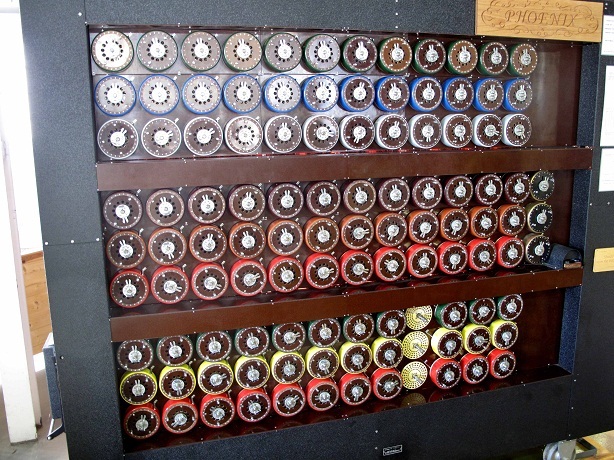 The first “Machine” to break Enigma keys were the Polish Bombe of 1930s, as well as the cyclometers. 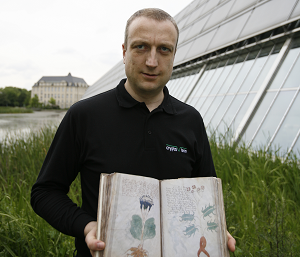 They also invented the Zigalsky sheets, a brilliant matrix of 56×56 A-Z-A-Z sheets with punched hoes on a light-table. 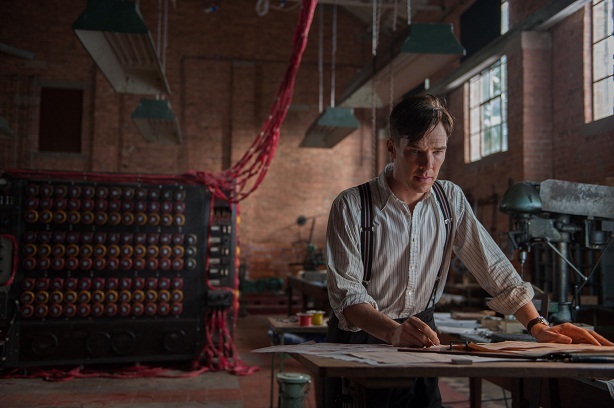 Bletchley Park code breakers and Turing were not successful until 1939. The 3 Polish mathematicians from Poznan brought there solutions and a hand made replica Enigma to the French cipher chief Gnl Bertrand and he passed it to the British spy-master Stephenson “Intrepid” who hand carried the solutions to Bletchley. 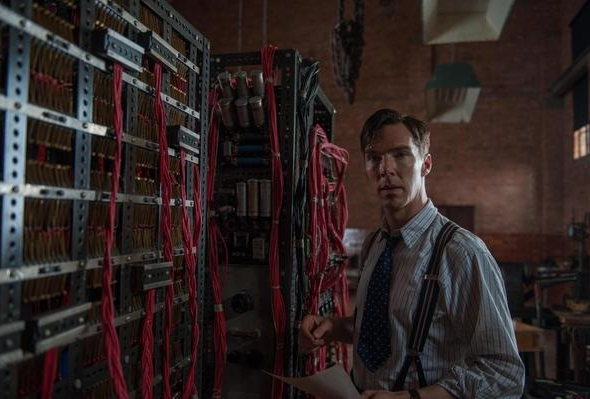 Turing and the others at Bletchley expanded and improved on the Polish solutions after that.